Live on Board Sailing Komodo trip is departing from Bangsal (9am) using a bus and transit in Senggigi (10am) to get the briefing about the program. And the tour proceed to Labuan Lombok after arriving in Labuan Lombok the Komodo tour continuous by Boat. We will sail to Gili Bola. Our activities in Gili Bola are seeing bats, enjoying sunset, and spending a night there. In the morning from Gili Bola we are departing to Moyo Island. After arriving in Moyo Island you can do snorkeling there to see the beauty of Moyo's Coral Reefs and fishes there. 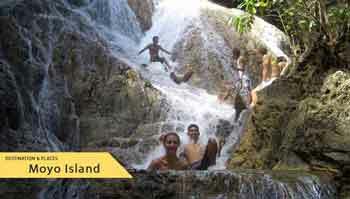 After snorkeling for one hour we will trek about 300 meters to the inside of Moyo Island to visit the waterfall. After that, we will go to Satonda Island. Our activities in Satonda Island are snorkeling and also to see the salt water lake in the center of the Island. After visiting Satonda, we will go to Gili Laba and the Boat will sail in the evening. After arriving in Gili Laba, in the morning your activities in this Island is trekking to the top of the Island to enjoy glorious panorama of Flores landscape. 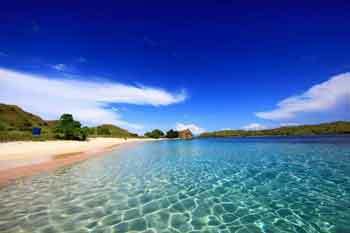 After that, Live on Board Sailing Komodo trip continuous to the Pink Beach. 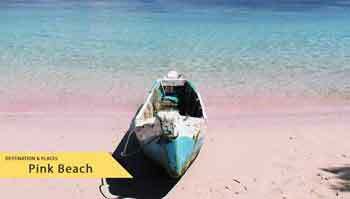 Pink beach is the best place for snorkeling. The coral reefs, fishes, and the beach itself are really beautiful. This beach is called Pink Beach because of the sand of this Beach is Pink. The Pink sands are because of the abrasion of pink / red coral reefs across the beach. 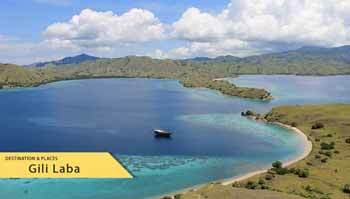 After snorkeling, Live on Board Sailing Komodo trip will go to Komodo Island, this is the highest point of Komodo Tours. 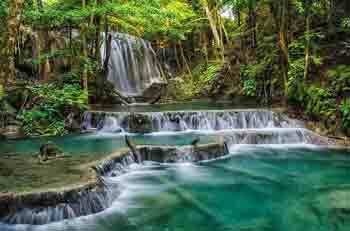 We will trek about 2 - 3 hours to see the Komodo Dragons. 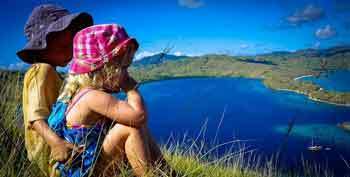 From Komodo Island we are going to Kalong Island and stay overnight there. After sunset you can see a lots of bats, searching for the food.